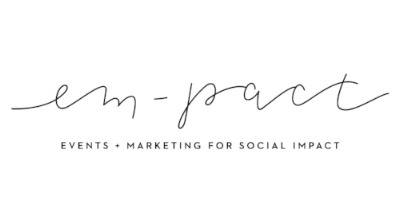 em-pact's mission is to empower + support socially-conscious businesses to maximize their impact, through events, marketing, + communications services. We work with nonprofits, B-corps, ethical brands, and small businesses of all sizes + budgets, with a sliding scale. "Having worked alongside her as a colleague at The Good Trade - I have been consistently amazed by Henah's enthusiasm, dedication and adaptability. Henah is an excellent writer and communicator across channels. From blog posts to emails, proposals and social content, she is able to craft messages to fit any medium and has excellent instincts when it comes to messaging, networking and building an audience."